Villa Carlotta è chiusa nella data selezionata. È comunque possibile inoltrare una richiesta di prenotazione alla segreteria compilando questo modulo. Stucco decorations, plaster casts, mosaics and Venetian terrazzo, marble statues, oil paintings, frescoes, marquetry tables and tapestries. For centuries, Villa Carlotta has safeguarded all sorts of artefacts. But how is a tapestry actually made? And what about a piece of marquetry? This experience will help us to learn and familiarize with the techniques used by artists to create the masterpieces we can see all around us. The visit will be followed by a workshop during which we shall get to prepare tempera colours using natural pigments and fixatives, just as the great masters used to do before the advent of industrial paints. What is the relationship between Arctium lappa grass and Velcro? What is the connection between a lime tree fruit and a helicopter? Throughout history, man has sharpened his wits to find solutions to problems by drawing inspiration from nature. This workshop will be an opportunity to develop an ability for critical thinking and to stimulate problem-solving skills. How is a work of art created? We shall find out, armed with pencil and paper, by observing the compositional elements and studying the colours of the artworks on display in Villa Carlotta. A successful painting is the sum of numerous elements we often take for granted: light and shade, colour combinations, proportions, highlights and symmetry. This activity sets out to explore what lies beneath the surface of the canvas, because what we see is not only fruit of creative genius but also of a precise set of compositional rules. An expert botanist will accompany you along a step by step itinerary inside the extensive gardens of Villa Carlotta, encouraging you to reflect on the characteristics of its protagonists, that is to say, the trees, bushes and plants of all forms and colours, and on the important relationship between man and nature. You will see how the expert intervention of skilled gardeners and landscape designers has artfully combined the requirements of plants coming from the most diversified areas of the world with the features of the garden, to give shape to an authentic open-air museum. This activity enables you to follow two itineraries illustrating both the artistic and botanical heritage of Villa Carlotta. An expert botanist will reveal some interesting facts regarding the hundreds of plant species growing in the gardens, while an art historian will introduce you to the secrets behind numerous artworks kept in the museum. The aim is to give you an overall view of all the interesting things this extraordinary place can offer visitors. One dwelling and three owners. A private home which, in the course of two centuries, has been turned into a veritable museum. Strategy, advertising and acumen: these are the elements which have made Villa Carlotta one of the most sought-after tourist spots ever since the 1800s. 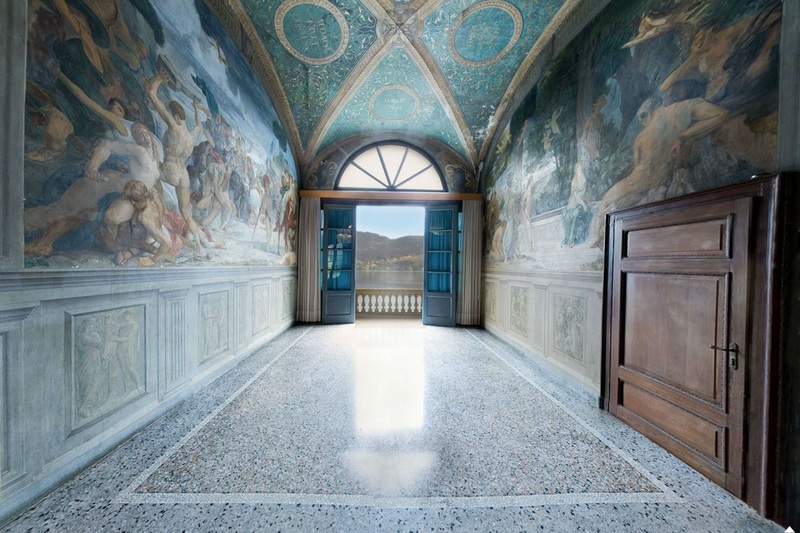 With an expert art historian, you will get the chance to learn the history of its owners, while observing the physical signs of their presence: the richly adorned rooms, the precious artworks, the lavish 19th century furniture, the Venetian terrazzo floors… who commissioned them? And why? An experience that takes you through the collections of the Villa to discover the secrets and interesting facts behind them. 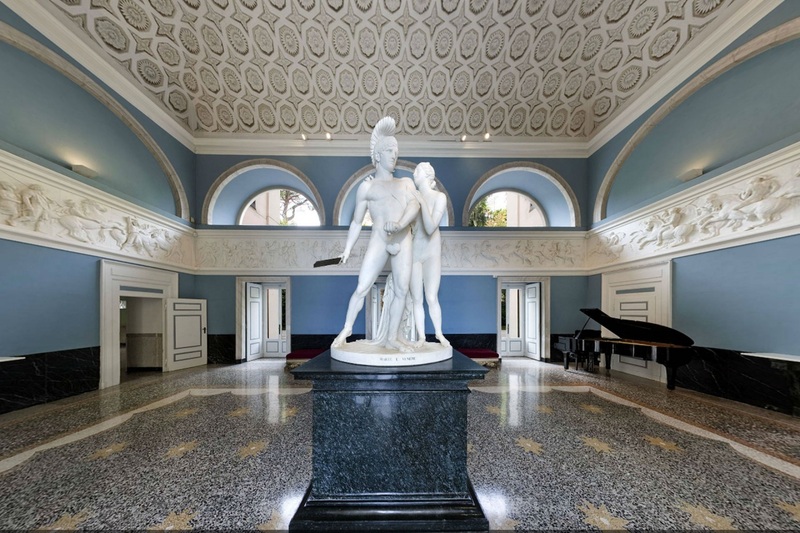 The collections of Villa Carlotta contain a significant nucleus of works by Francesco Hayez. This extraordinary itinerary takes a close look at his artistic and pictorial activity, starting from the findings of some chemical analyses recently carried out on the painting of the Last Kiss of Romeo and Juliette, which have provided some interesting information on the palette composition used by the artist. You will experience an alternative way to explore the complexity of an artwork, its various levels of interpretation and the different professional figures at work in a museum. How to design a garden? Through the survey of the architectural values and the most significant botanical elements at Villa Carlotta, we will collect clues for understanding how to design a garden or a building. During the workshop, different knowledge will be connected: natural philosophy, art history, physics, architecture, geography and biology. Metasaga is the name of a process or framework: it’s a fantastic tool as it encourages the people involved to explore local culture and understand their place in the wider world. 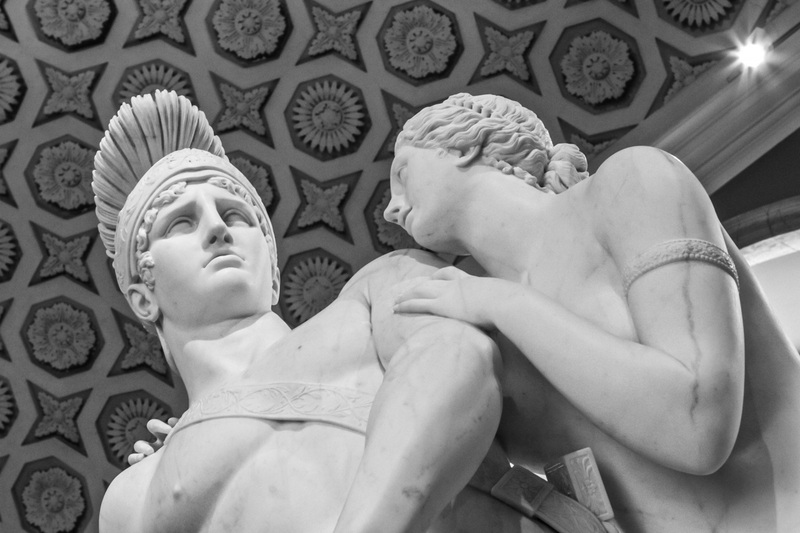 Each metasaga belongs to the people involved in it, they have ownership. It is an experience developed through a trail with multiple stops (a saga) where participants will discover the garden’s secrets. These will become metaphors/opportunities to think of our working life and will be used as a stimulus for developing key skills such as team work and leadership. At the end of this experience the group will take part to a workshop: this will offer the opportunity of having a short moment during which people will share in an informal way their personal achievements from the metasaga. An itinerary to discover the counteless applications of plants. During a workshop of herbal medicine, it will be possible to create simple preparations (toothpaste or body cream) that highlight the deep relationship between humans and plant kingdom. Countless colours of flowers, different shades of green and garish berries: what is the meaning of colours in vegetable kingdom? After the visit of the garden, we will explore the numerous tones of colours by pigment extraction from plants for creating delicate watercolours. Come to discover the magnificient and silent presences that delight the walk of visitors with their silhouettes, different tone of green leaves (and not only green! ), foliages with assorted forms, branches’ bearing and barks of incredible textures and colours. This journey in the botanical garden will allow us to discover secrets and curiosity. Group's tickets over € 77,47 must pay an extra tax of € 2,00 on total amount (D.P.R. n. 642/72). 1. L'arrivo: in caso di ritardo contattare l'educatore di riferimento o la biglietteria (0344 40405). - Per quanto riguarda le tariffe di ingresso è riconosciuta una gratuitè per 1 docente ogni 10 studenti per le scuole dell'infanzia ed una gratuità per 1 docente ogni 15 studenti dalla scuola primaria in poi. Ai docenti in sovrannumero rispetto a questo rapporto viene applicata la tariffa relativa al solo ingresso riservata agli studenti in comitiva (ovvero 4,00 €). - Il rapporto consigliato adulti/bambini è pari a 1:5 fino alla classe II della scuola primaria. Entro questo rapporto agli accompagnatori non docenti è riconosciuta la tariffa relativa al solo ingresso riservata agli studenti (ovvero 4,00 €). Ulteriori accompagnatori pagheranno l'ingresso singolo come da listino. - Gli insegnanti devono rimanere con il gruppo durante lo svolgimento dei laboratori; ad essi è affidata la supervisione degli studenti. - In caso di presenza di disabili si richiede di avvisare in anticipo specificando eventuali necessità. - Suddividere in anticipo i bambini in gruppi, ognuno dei quali facente capo ad un adulto di riferimento, che ne sia responsabile per l'intera giornata. - Concordare in anticipo con l'educatore l'eventuale necessità di approfondire tematiche o concetti correlati al programma svolto a scuola. 4. Adulti e bambini devono portare cartellini identificativi (etichette, post-it, ecc.) o badges che indichino chiaramente il loro nome. - Non strappare o danneggiare le piante e le opere d'arte, non disturbare gli animali. - Non scavare buchi o solchi nella ghiaia dei vialetti. - Non abbandonare rifiuti: usare gli appositi cestini. - Non disturbare gli altri visitatori. 6. È possibile utilizzare le due aree picnic presenti presso il bar caffetteria o nella zona alta del parco, vicino al giardino dei bamboo. L'accesso è libero ma, siccome l'affluenza al giardino è elevata, potrebbero essere occupate: si può comunque sostare sul prato nell'area picnic nella parte alta del giardino. In caso di consumazione al bar caffetteria si prega di avvisare il gestore in anticipo (349 8228953 - 349 68 99 990 - info@anticaserra.it). 7. In caso di maltempo si potrà concordare lo svolgimento di attività alternative al coperto; i programmi potranno subire modifiche. È comunque raccomandato un abbigliamento idoneo: scarpe comode, zaini leggeri, eventualmente giacche da pioggia, stivali, ombrelli. - Entro 14 giorni prima della data concordata: 50% della quota dovuta. - Entro 7 giorni prima della data concordata: 90% della quota dovuta. - Entro 2 giorni prima della data concordata: 100% della quota dovuta. 9. Solo in caso di allerta meteo, previo accordo con i Servizi Educativi, sarà possibile rimandare ad altra data le attività previste. I confirm that I have read all the informations and I am aware of the penalties in case of non-respect of the conditions. In order to allow you to register with our site www.villacarlotta.it (and gain access to the services rendered through the site and their proper provision, Ente Villa Carlotta., having its registered office in via Regina 2 - 22016 Tremezzina (CO), in its capacity as Data Controller, will process the personal data regarding you, pursuant to Legislative Decree no. 196 dated 30 June 2003 (the "Data Protection Code"). Your personal data will be processed for the purposes, in the manner and under the terms and conditions set out in the complete information document provided for by which art. 13 of Legislative Decree 196/2003 which you can read below. The present information is made available for the website "www.villacarlotta.it " (hereinafter, the "Website") owned and managed by Ente Villa Carlotta, having registered office in Tremezzina, Via Regina n.2 (hereinafter, "Villa Carlotta" or "Ente"), as Holder of the treatment, and not also for other websites eventually consulted by the user through link. The information is addressed to all parties who interact with the pages of the Website, both those who use the Website without effecting any registration, and those who, at the end of an appropriate procedure, register themselves to the Website and use the online services granted through it. The present information is provided according to the art. 13 of the Legislative Decree 196/2003, as well as according to the Recommendation n. 2/2001 that the European Authorities for the Personal Data Protection, convened in the Group established by the art. 29 of the Directive n. 95/46/CE, have adopted on 17th May 2001 in order to individuate some minimum requirements for the on line collection of personal data. The information and the data requested in case of registration will be used both to allow the access to the reserved area of the Website, and to use the on line services offered by Villa Carlotta. In case an order is effected, some data is registered, e.g. the IP address the transaction comes from, the time of the request, the type of browser used, etc.... This data might be used in order to verify the responsibility in case of hypothetical IT crimes to the Website and/or third parties, upon initiative of the inquiring authorities in charge by law. Subject to your agreement, Villa Carlotta may treat personal data provided by Your side for the shipment of advertising material on the services offered by Villa Carlotta or by third parties. Personal data provided by Your side during a purchase on the Website may be treated by Villa Carlotta, subject to Your agreement, with the aim of profiling, that is the survey of your consuming habits through the disclosure of type and frequency of the purchases made by Your side, in order to send You advertising material on the services offered by Villa Carlotta or by third parties having specific interest for You. Villa Carlotta may use, for the purpose of providing direct ticketing services through the Website, email contact information provided by Your side during a purchase on the Website, also without Your agreement, according to the art.130, paragraph 4, of the Privacy Code, only if the service provided is comparable to those subject of sale (i.e. soft spamming). 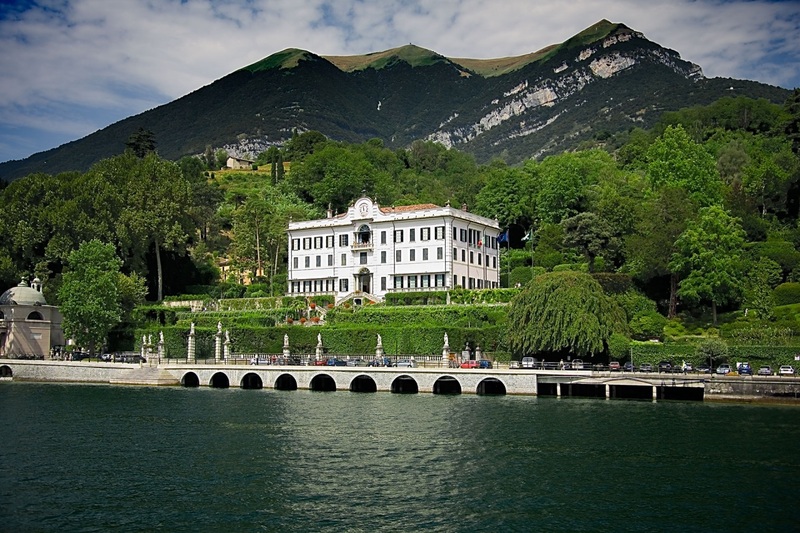 You may however oppose to this treatment at any time by sending a request to Villa Carlotta as indicated in the art. 7 that follows. The registration to the Website owned and managed by Ente Villa Carlotta. ("Villa Carlotta" or "Ente") and the eventual subsequent use of the services rendered by Villa Carlotta through the Website, including the reservation, purchase, issuing, ticket shipment (so-called "ticketing"), shipment of information and advertising material, etc..., will involve the treatment of personal data regarding You that are or will be provided by Your side. Therefore, according to the prescriptions of the Legislative Decree 30/06/2003 n. 196 (so-called "Privacy Code"), herewith we intend to inform You that Villa Carlotta, as owner of the Website and Holder, will treat the personal data regarding You under the following conditions. d) for the elaboration of the commercial profile of the customer (through the survey of the consuming habits), finalized at both monitoring the satisfaction level of the customers in order to ensure a better satisfaction of their needs, and shipping and advertising material having specific interest for the customer, through computerized systems, such as e-mail, fax, sms or MMS, or by mail. The provision of the data for the registration to the Website is purely optional, but necessary for the access to the reserved area of the Website and, therefore, to the services offered by Villa Carlotta though the Website. Therefore, the registration to the Website implicates the agreement by Your side to the treatment of the personal data regarding You for the purposes of execution of the contractual relationship and for the purposes of administration and accounting nature, as indicated at the points "a" and "b" of the art. 1 mentioned before. With reference to the other purposes of the treatment indicated at the art. 1 mentioned before, we point out that the agreement to the treatment of Your data is purely optional. Anyway, the missed agreement implies the consequences described below. In particular, the missed agreement to the treatment of the data for the purposed as per art. 1 letter "c" mentioned before will involve the impossibility for You to receive advertising material, brochure and communications related to the services and products offered by our Ente or third parties (e.g. concerts, shows, theatrical representations, sport events, etc...). IFinally, the missed agreement to the treatment of Your data for the purposes as per art. 1 letter "d" mentioned before will involve the impossibility for our Ente to elaborate profiles of the consuming habits of the clients (aimed at granting a major satisfaction of the needs of the customers and the continuous improvement of the services offered), as well as to send You information and advertising material having specific interest for You. Stated as above, it is intended that, in case of not acceptance by Your side of the agreement to the treatment of the personal data regarding you, Villa Carlotta will anyway be able to use Your data only for the purpose of correctly filing the obligations arising from the laws in force. i) to all those public and/or private parties, physical and/or juridical persons (legal, administration and tax firms, Marshals, Chambers of Commerce, Law Chambers and Offices, etc...), should the communication be necessary of functional to the correct filing of the contractual obligations arose, as well as of the by-law obligations. The Holder of the treatment of the personal data is the Ente Villa Carlotta, having its registered office in Tremezzina, Via Regina n.2, The Responsible for the treatment, according to the art. 29 Legislative Decree 196/2003, is Massimiliano Pozzi. c) fax number: (+39) 0344 43689. The personal data regarding you will be archived only for the time necessary to grant the correct provision of the services offered by our Ente. In any case, it is intended that Your personal data is archived and treated for the purpose of verifying the consumers' and marketing habits for the period of time allowed by law and by the prescriptions of the Granting Authority for the Treatment of the Personal Data. Expired this period, Your data will be transformed into an anonymous form, in order not to permit - even indirectly - to identify the interested parties. - to the treatment of the personal data regarding You, stated for the purposes of commercial information or of deliver of advertising material or of direct sales or for effecting market or commercial communication researches. The above rights can be exerted with request made without any formality to the Holder or Responsible. The request can be sent to the Holder or Responsible through registered letter, fax (to the number (+39) 0344 43689) or also through e-mail at the following address: segreteria@villacarlotta.it. I dati personali forniti dall'utente saranno trattati unicamente in relazione al servizio di invio Newsletter. L'indirizzo Email non verrà fornito in alcun modo a società esterne o terzi, ai sensi della 'legge sulla tutela dei dati personali'.